While researching suspension options for my NB Miata, I came across Feal as an option. Goodwin sells them, but they are also available from Feal's online store. Feal has an RX-8 fitment starting at $1400, of which I was not aware when I bought my Ohlins. It appears you can specify any spring rate you want, and Odi will valve the shocks to match, with either street or race profiles, although he has off-the-shelf Street and Road Race versions available as well. Odi, the owner, is supposedly actively involved in Formula Drift as a driver and suspension guru. Feal coilovers appear to use the same Taiwanese shock bodies and other external bits as Stance/Powertrix/BC/Megan/KSport/OCrap, but are assembled with Swift springs and higher quality internals and valving. I think ISC and Fortune are similarly supposed to use a lot of the same externals, but have a reputation for actually being decent due to better other parts and valving. Xida is the gold standard in the Miata world, so I will probably go that route with that car, but I tried to research Feal in Mazda applications as much as possible anyway. I found a couple of guys using them in Miatas on the track, and their reviews are very positive, with podium finishes to show for their efforts, but at least one eventually graduated to Xida. That seems to make them easily good enough for HPDE. Otherwise, I found a lot of Subaru guys giving the typical worthless, "These shocks are awesome, and I am totally stanced and hellaslammed, and I don't even feel no bumps no mo yo!!1!" type reviews. Anyway, anyone have any knowledge of Feal? Good stuff or more of the same? Last edited by Steve Dallas; 11-09-2016 at 09:32 PM. subscribed. i've been considering the fortune coilovers based on both street and track users reporting good longevity, decent ride quality, and good performance. they also have inexpensive, local (near richmond VA) rebuilds, and provide custom valving and shock dynos in the basic purchase. would be interested if anyone has feedback of feal. the fortunes cost more than $300 for the swift upgrade. 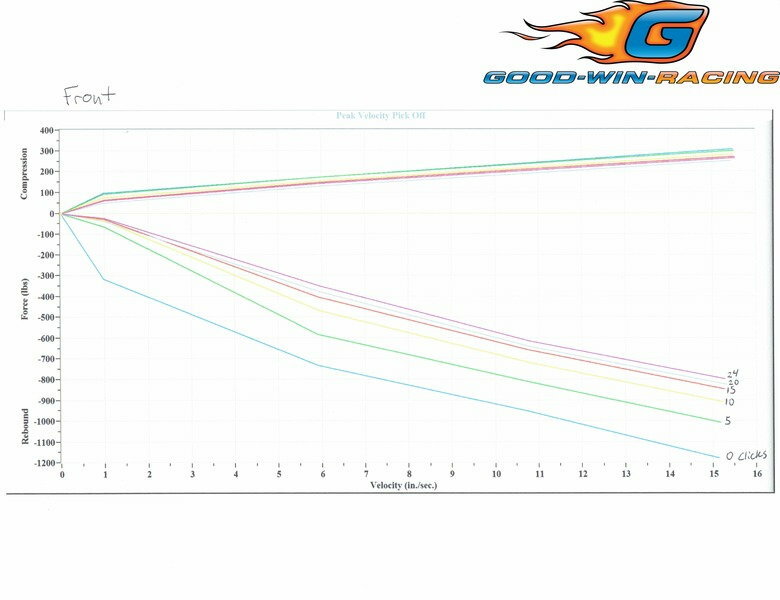 I have not talked to anyone at Fortune to shed light on this, but the 500's dyno plots appear to identify the valving as sporty, but not really intended for road racing. The 510's low frequency damping and rebound looks much more appropriate, but they do not offer an OTS RX-8 fitment in the 510. That is not to say they won't make it for you. Surely, they will for an upcharge. Feal's approach to shock tuning looks to be similar to FCM's, in that Odi consults with you about your intended usage, tire treadwear, etc. to determine spring rates and valving. In looking at the NB Miata fitment, Feal's road race version dynos exhibit valving that is about halfway between Xida version 1 and version 2 shocks. That is pretty encouraging, considering the V1 is beloved in the Miata scene, and the V2 is beloved even more. I assume that translates to the RX-8 application. Last edited by Steve Dallas; 11-10-2016 at 07:27 AM. Just got off the phone with Feal and thought I'd share some info. I know that more front spring vs. rear spring is supposed to bias handling more toward understeer, but that has not necessarily been my practical experience with this car, assuming published spring rates have been correct on my various setups. For example, the OEM front to rear ratio is about 1.4 on stock sways, which should indicate a moderate bias toward understeer. The Ohlins ratio of 2.0 should indicate massive understeer, but in my case, it created massive oversteer. My FCM consultation recommended a nearly 1.0 ratio, which was supposed to result in very slight oversteer. I am almost at a loss to explain it, although I do have some theories. Last edited by Steve Dallas; 11-14-2016 at 08:02 PM. Here are some RX-8 spring ratios to ponder. Last edited by Steve Dallas; 11-12-2016 at 07:49 AM. And here is a shock dyno of the NA/NB Miata version of Feal's 441 Road Race coilover, courtesy of Goodwin. That's some interesting data about spring rates. I've been pondering what kind of spring rates I want to run on my 8, and it's pretty obvious that there is no good consensus on the various aftermarket setups are. My question is: How would you describe the oversteer? Does it occur at corner entry, mid, or on exit? Transitional loose or push is usually shocks or driver related. While I've only had the time to play with alignment and bumpstops on my 8, I can tell this is already a sensitive chassis to changes, due to the camber gain of the front suspension in bump, and the high amount of anti-squat in the rear suspension. The baked-in suspension geometry of the car needs to be accounted for to determine expected oversteer/understeer bias. I don't want to derail the thread too much with discussions of my setup, but I suppose spring rates are germane. By massive oversteer, I mean oversteer under all conditions. I eventually got it under control by changing alignment settings and tire pressures, and by using very little rear bar. Now, it has a little mid to exit oversteer, but it is manageable, although my preference is for a little entry understeer and neutral mid and exit. When I purchased the Ohlins, I expected to run a pretty large rear bar due to the published spring rates. At the time, I was running a Progress NC Miata front bar set on medium and a matching rear bar set on soft. That proved to be a poor expectation. That was way too much rear bar. My previous setup had been Bilstein PSS9s with the same bars. It was very neutral, but the compression was not where I wanted it, the rebound adjuster was a joke, and I damaged the right rear, which necessitated a rebuild or a new setup. I chose Ohlins for a variety of reasons that I won't go into here. Running on 100-200 TW tires and a fairly aggressive alignment, I started by setting the shock rebound appropriately by following Penske's setup guide. Then, I started to focus on handling. Massive oversteer everywhere. 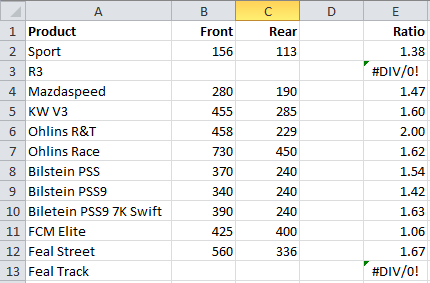 Over the next 6 months, I maxed out alignment settings, experimented with tires and tire pressures, experimented with rebound settings, and kept reducing the rear bar. Things smoothed out with an OEM NC Miata 11mm rear bar plus the other changes. In truth, I could probably just run no rear bar. Anyway, I agree that this chassis is very sensitive to dynamic alignment, tire pressures, etc. My working theory is, that the spring rate in the rear of the Ohlins setup is low enough, and the bump travel short enough, that I am riding on the softer than average bump stops more than I realize, and that is what is causing the oversteer condition. Going up in rear spring rate by 1K may solve it due to factors outside of simple spring rate rules of thumb. Perhaps that brings us to Feal's street rates and road race valving with my preferred TW tires, and perhaps Feal looks... Interesting. Last edited by Steve Dallas; 11-14-2016 at 08:30 PM. I don't think that the rear bump stops are the issue. If so, the rear bar should have helped it, as it would keep the rear off the bump stops. The only way I could see the bump stops being a large factor is if they were already engaged at static ride height, or made out of hard urethane. An easy test would be to raise the car a half inch. If that helps, then the bump stops are a likely candidate. My hypothesis is that the front is actually making a ton of grip due to perfectly optimized camber on the outside front tire. This is exacerbated from the high front to rear spring rate difference, as the front will transfer a larger amount of weight to the outside front, relative to the rear. If my hypothesis is correct, reducing the front bar should lead to more understeer, or increasing it so much so that the front rolls much less. Reducing front camber would definitely fix the issue, but that's not the optimal situation. Increasing front rebound should also cause entry understeer, but it will also cause exit oversteer. Feal's road race spring rates would be an interesting addition to the data set. My suspicion it is will be application-dependent, or something close to 800 lbs/in front and 600 lbs/in rear for a road race car with Hoosier R7s. Interesting theory. I can see how you arrived there. The Ohlins bump stops are relatively short, are made of some sort of micro-cell poly, and are softer than most. The rear Ohlins shocks are known to have less bump travel than some other designs, which is what led me down that line of thinking. I was actually pondering how to mount a GoPro back there to film the suspension in action to get an idea of what it is doing. 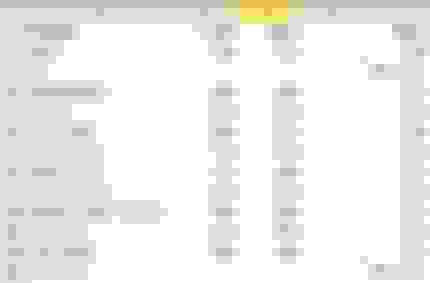 I can very easily soften the front bar a bit by moving from the medium to soft setting. Admittedly, the right way to approach these coilovers would have been to return to stock bars and work from there. I still have the stockers, so I can certainly do that. Although, keep in mind the Progress NC MX-5 bars I have would be considered medium stiffness in the RX-8 application. FTR, my preferred tires for my HPDE habit are in the range of NT01s, R888s, RC-1s, RE71Rs, etc. I agree that the Feal Road Race spring rates will be application dependent. From what I have read, Odi works on the consultation model, where he quizzes you about things like specific trim level, corner weights (if you know them), alignment settings, ride height, tire treadwear rating, sway bars, desired handling characteristics, etc. Matt Carley in Baton Rouge has a set and his RX8 is gone after the flood so they're for sale last I heard. I'll let him know you guys are interested maybe he can chime in with thoughts. His were revalved for STX autocross use. Yep, still up for grabs. They are the road race version, Nathan here actually helped me determine spring rates of 10k/7k and valving. I used them for about 6 autocrosses, with the progress bar on medium and 255 RE71R and really enjoyed the performance and level of grip. Comfortable enough on the road, too. If you'd like more info, let me know. Last edited by dvalue; 11-18-2016 at 01:52 PM. I was very tempted by those Feal coilovers when I was doing all of my research for my RX-8. I'm still kind of wishing I had gone with them instead of the Bilstein HD dampers and Swift springs. Not that I'm disappointed with what I have, but they did lower the car more than I wanted. Those Feals supposedly allow for stock ride height, so my 1/2 to 3/4" lowering would have been no problem. I may still end up going with Feals at some point. Definitely following this thread! I talked with Feal, and they are investigating developing contingency programs for SCCA and NASA racing and time trial classes. perhaps somewhat along the lines of Fortune's SCCA and NASA contingency program. I'm hoping it gets put in place in time to get a kit before racing season starts! Hey, dvalue, can you spare the time to write a detailed review? These coilovers seem to be exotic animals in the RX-8 world, so any information we can get will be appreciated. Sub'd for updates. I was looking at Feal from my track car project that I'm working on building. I've seen a lot of positive feedback from Miata guys & honestly for the price I'm willing to take the gamble. Compared to the Ohlins I was initially looking at, I think the choose of spring rates along with a $1000 cheaper price rage make this decision even easier. The only way I would consider Ohlins again for my 8 for track use is if I were to get the race kit from Goodwin. The spring rates on the R&T version are just too weird. The valving of the shocks is great, however. Right now, I'm considering going up 1K in the rear with Goodwin's kit or changing to something else like Feal. I'm going to call Goodwin and Ohlins and Feal next week to discuss options. Oh, reading your last post in the "KW or Ohlins or FCM" thread I thought you had it dialed in nicely on the Ohlins now . Did that change, or are you looking to go stiffer? On spring rates, the FCM ratio is designed to work with a stiffer front to rear sway bar ratio than stock (so counter-acting the stiffer rear to front spring rates). Last edited by blu3dragon; 12-19-2016 at 12:30 PM. The Ohlins setup is more or less dialed in now, but it took a long time and a lot of frustration (and money) to get it there--especially since the car was doing the opposite of what it should be doing, accorded to my beer-addled brain. I think the bump stops are the answer. I believe the rear rides at least one of them under nearly all power-down scenarios, which makes the rear want to step out at unpredictable times. I believe a little more rear spring would solve that. In my opinion, the 2.0 spring rate ratio is a really strange choice for a car that was designed for about 1.4. At 2.0, the front axle acts like a fulcrum, and the rear bounces and moves too freely. It makes me wonder if Ohlins actually tested this setup on an RX-8, or if they just pushed it out on a theoretical basis. The bottom line is, I am faster on Ohlins R&T after much fine tuning, but it never feels right, and I am always reluctant to trust it. I drive on faith a lot more than I ever did before. So I picked up the set of Feal coilovers from Dvalue (Thanks Matt) and sent them out to be rebuilt. The road race version have 10K front 7K rear Swift springs. So the front went on without issue last weekend. The rears I started to install yesterday, but found I may need to shim the shock body at the bottom where it bolts to the hub. Without shims the shock body has 1/2" movement back & forth when the bottom bolt is tightened down. After researching Goodwins site, they note that the Ohlins race setup using the Swift springs w/helper springs requires the shock to be shimmed at the bottom as well, so I have an email in to Feal to confirm. I still have the stock bars on mine and I've had a fair amount of oversteer issues. Our local suspension guru (who knows how I prefer a neutral setup) tried to dial in the car as neutral as possible, but given that at least mine needs a very subtle but deliberate weight transfer on corner entry, I've had a few moments too many when the tail started wagging the dog in fairly close proximity to a wall. Subbed for your pending review. Though I will not tracking my R3 as much as some of you guys, I still want something decent and if the Feals are as good or better than the Ohlins I was considering, it'll be nice to save a few hundred dollars. in my hands within 1 week. On a sad note, those inserts are still sitting on my desk because it's been way too cold to work in an unheated garage. On top of that, we just had the blizzard roll though the NE yesterday, so there has been no progress on the car completion front. Weather forecast won't be above freezing through the weekend so the snow / ice won't be melting anytime soon, which means the car remains on jackstands for at least another 2 weeks.